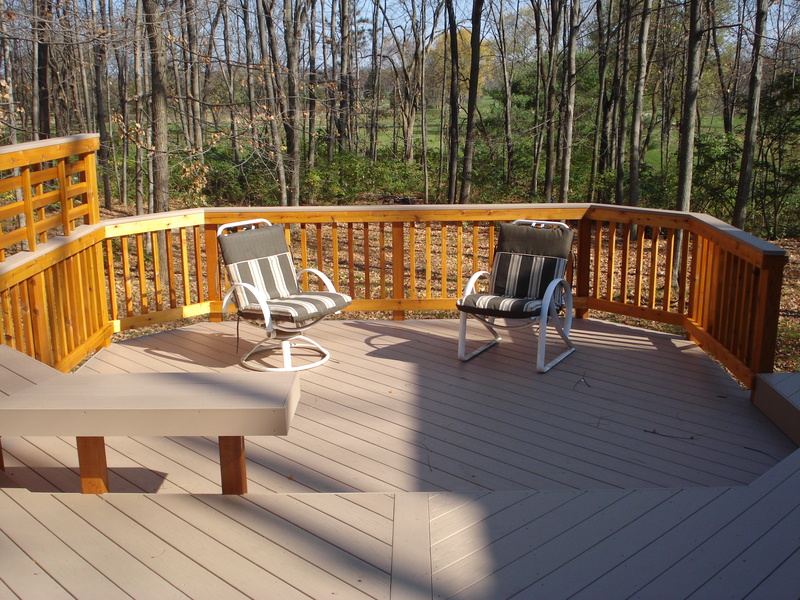 One of our most popular blog posts last year was my post about wood plastic composites vs. PVC decking. For most of us, we will likely only have a deck, patio, porch or sunroom built onto the back of our house once or twice. 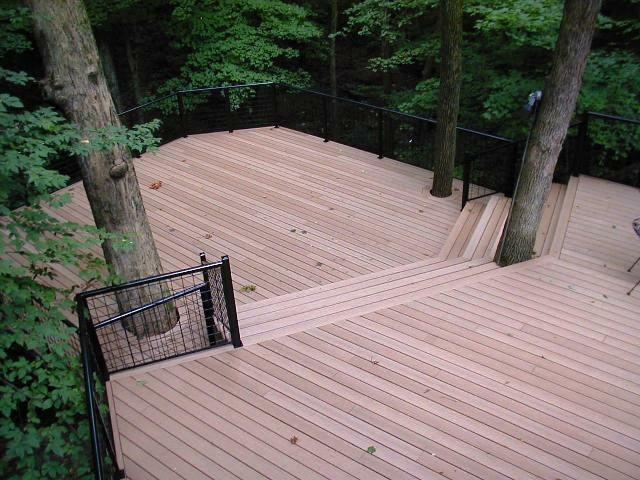 If you’ve started to do any research on decking materials, you know that there are what seems like too many choices. On top of that, no single choice easily stands out as the best. Well, you are not alone. This is what I do all day long and I feel the same way. The number and types and brands of products on the market are constantly growing and improving. So even my knowledge today is greatly expanded over last year because of the sheer speed of growth and change and product introductions with composite and PVC decking materials. When I wrote the last post, you had to decide between composite or PVC. The latest product combines the best of both worlds. 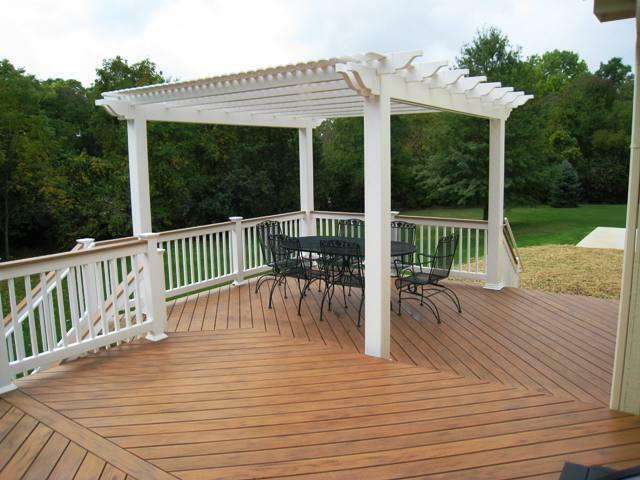 There is a new product called a wrapped or capped product that is a wood plastic composite with a PVC wrapped cap. In short, it’s cellular PVC on the outside and wood composite on the inside. Why is this the best of both worlds? Well, PVC has some advantages over straight composites – namely the fain and stain resistance. Although composites have strong protection against fade and stain, they do not compare to cellular PVC. On the other hand, solid PVC products are more expensive but the greatest benefit is having the PVC on the outside. So, a capped product really is the best of both worlds. Here’s what’s new on the market. 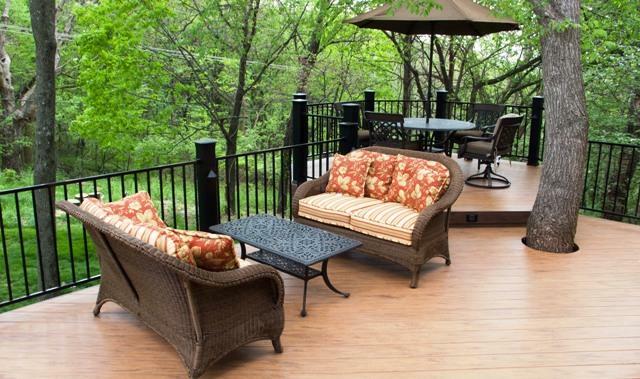 TimberTech is one of the premier composite decking lines on the market – and for good reason. Not only are they based out of Columbus (great place to live) but they are very good at what they do. Their product is durable, strong, scratch resistant, mildew resistant and you do not need to paint, stain or seal it. It’s truly a low maintenance product. TimberTech stands behind their product with a 25 year warranty. TimberTech has a PVC product line called TimberTech XLM. It’s a great product and I use it in my building quite a bit. As I said above, a solid PVC product is more expensive than a solid wood composite. In the past, two things were not covered in the warranty of TimberTech’s wood plastic composites – stain and fade protection. Cellular PVC has the ultimate stain and fade resistance so the new TimberTech capped product called TimberTech Earthwood Evolutions has the best of both worlds. It would be easy if the physical characteristics and warranty were the only factors to consider when choosing a decking material. But, after we make an intellectual decision, we then need to make the aesthetic decision. Every company’s composite or PVC line has different colors. And, from company to company those colors are different. We all know that what one company calls gray or tan is different than what another company calls gray or tan. Have you ever tried to pick out a shade of taupe at Home Depot or Lowes? I did this recently. Once I spent 30 minutes trying desperately to pick the best taupe out of the 39 shades of taupe, then I realized the next company had their 49 shades of taupe. 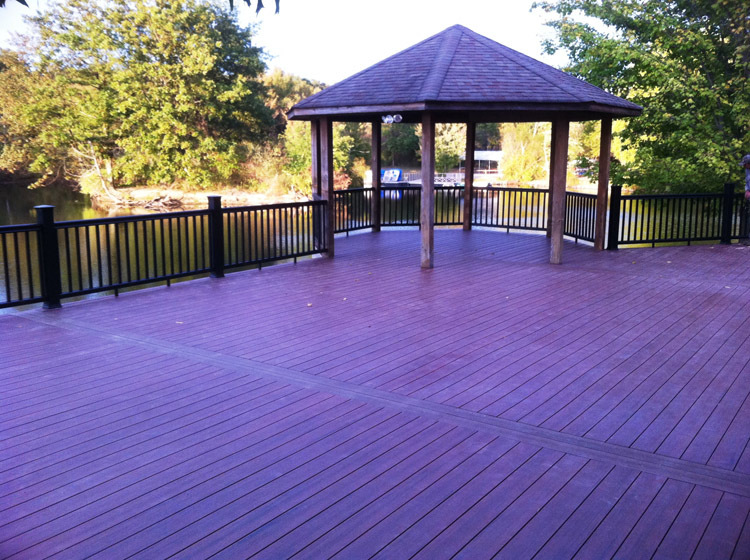 When picking color on composite or PVC decking, it’s a little bit easier. You won’t find 39 or 49 shades of each color. There will be a handful of total colors to choose from. And, yes, one company’s version of a color will be different than another company’s version. To make the decision a little more complex, the composite companies are now getting much more adept at adding the design characteristics that make these materials look more real – things like streaks. Thinking about making this decision is probably making you tired. But, it’s good time and energy. 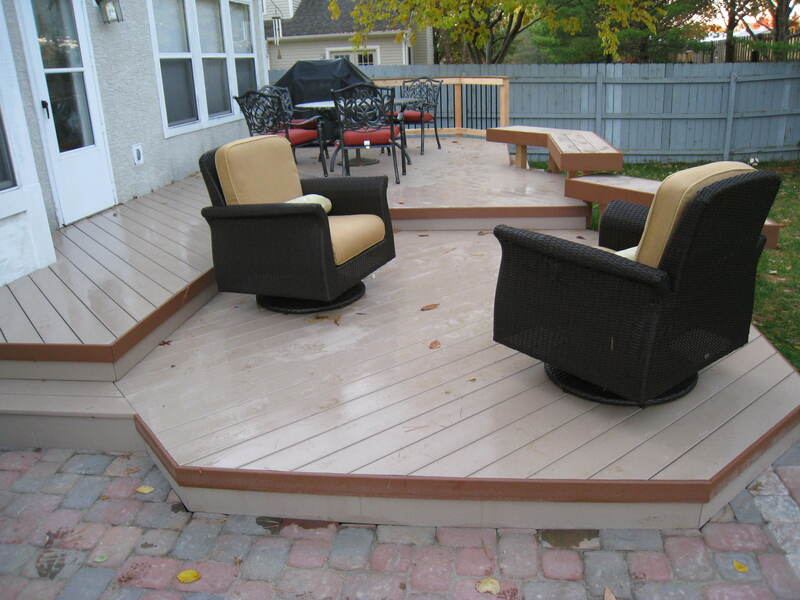 Your composite or PVC deck is going to last 25 – 30 years or more – warrantied! And that’s what I’m here to help you with. I have no allegiance to any of the companies. I work with TimberTech, Azek, Fiberon Horizon and other composite and PVC brands. I will bring you samples to touch and feel and compare. After reading this blog and touching and feeling the products, you will likely have a fairly good idea about what you want. Give me a ring to talk about your next outdoor project. 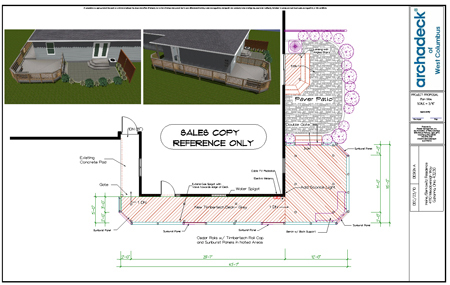 My consultation is free and you can tell I love what I do and discussing the merits of the various materials as well as discussing the pros and cons of the different structure choices. I can help you with deciding whether a screened porch, deck, patio, or sunroom is the best fit for you. I can give you guidance for making your choice on the materials. And Archadeck stands behind what we do with our own warranty. When you work with me, you get a design rendering of exactly what your project will look like. I like no surprises and a consultative selling approach so that’s what I give my customers.